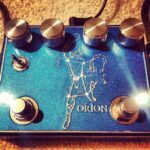 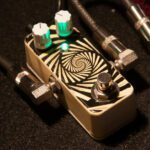 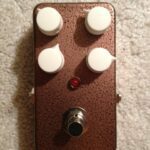 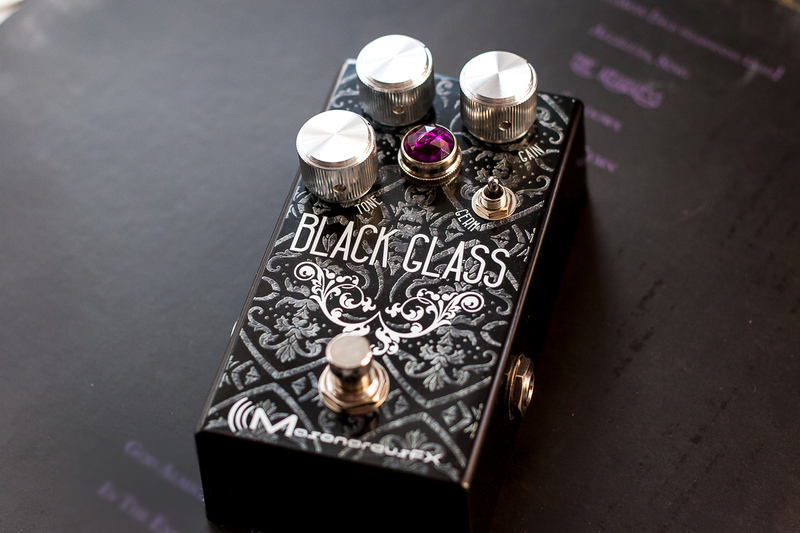 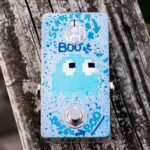 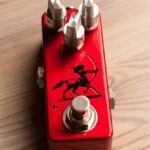 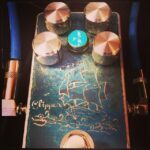 If you have a specific sound or look in mind for a pedal or amp but can’t find it on the market, custom work might be for you. 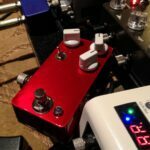 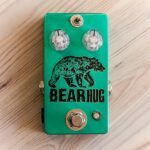 I love making one-off pedals, and I’d be glad to work with you to build something unique. 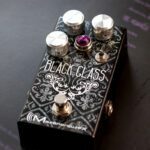 In each price range below, the low end is the cost of a simple circuit, like a buffer, and the high end is the cost of a more complex circuit like a reverb or delay. All prices are subject to change and variation depending on the simplicity or complexity of your needs. 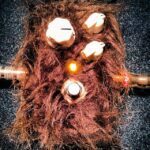 Click on any thumbnail for a larger view. 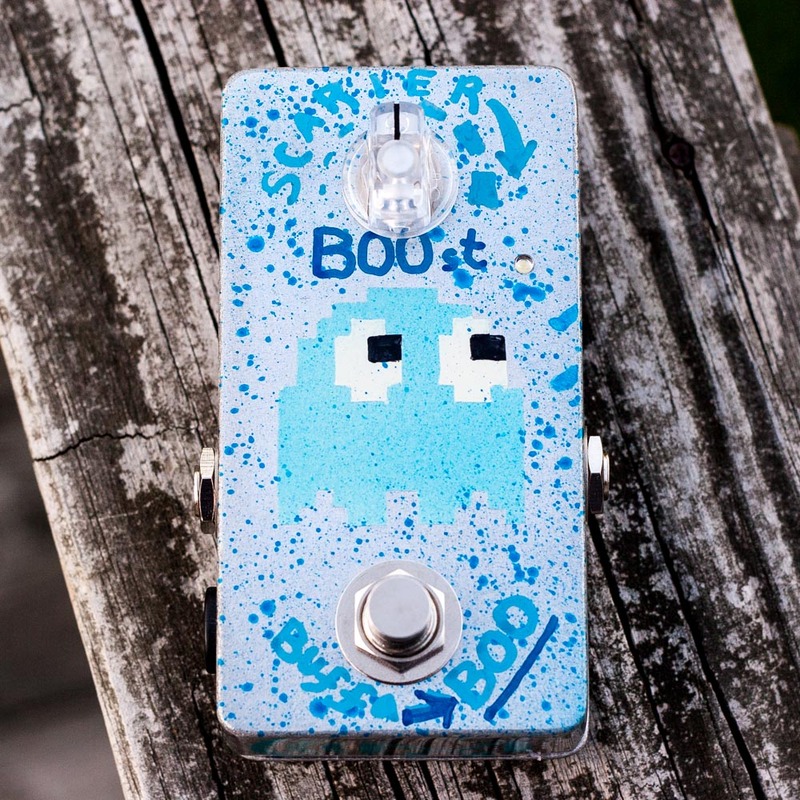 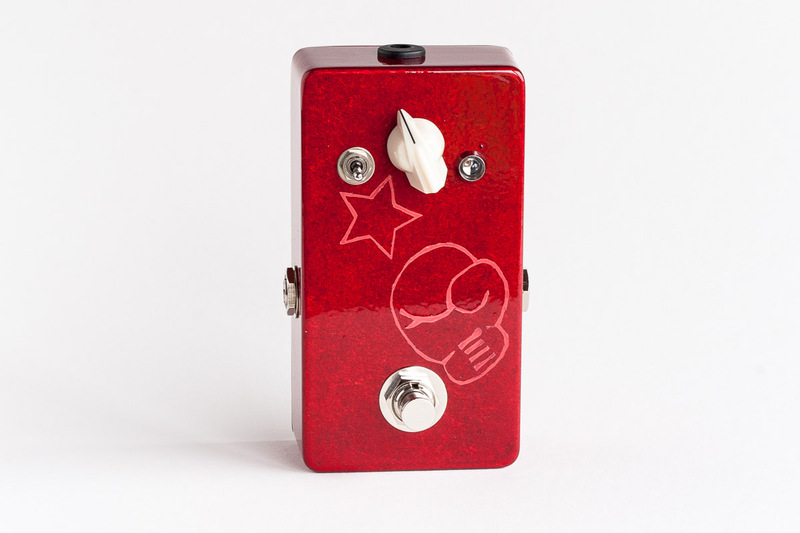 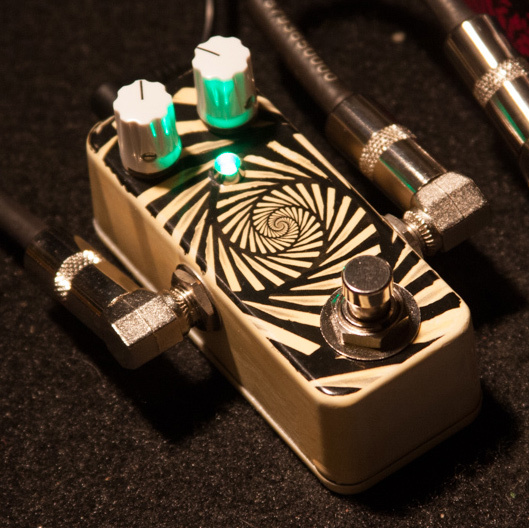 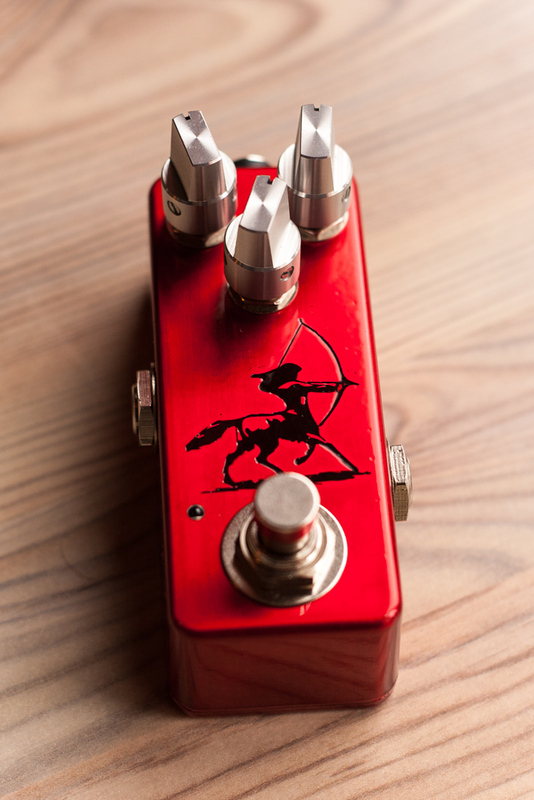 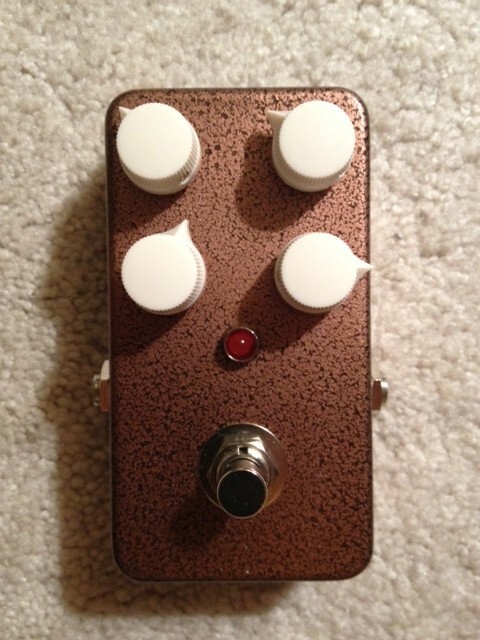 Time to build is usually about 2-4 weeks once we’ve finalized the details of your pedal. 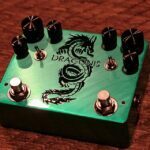 Custom circuit designs or particularly difficult builds might take longer. 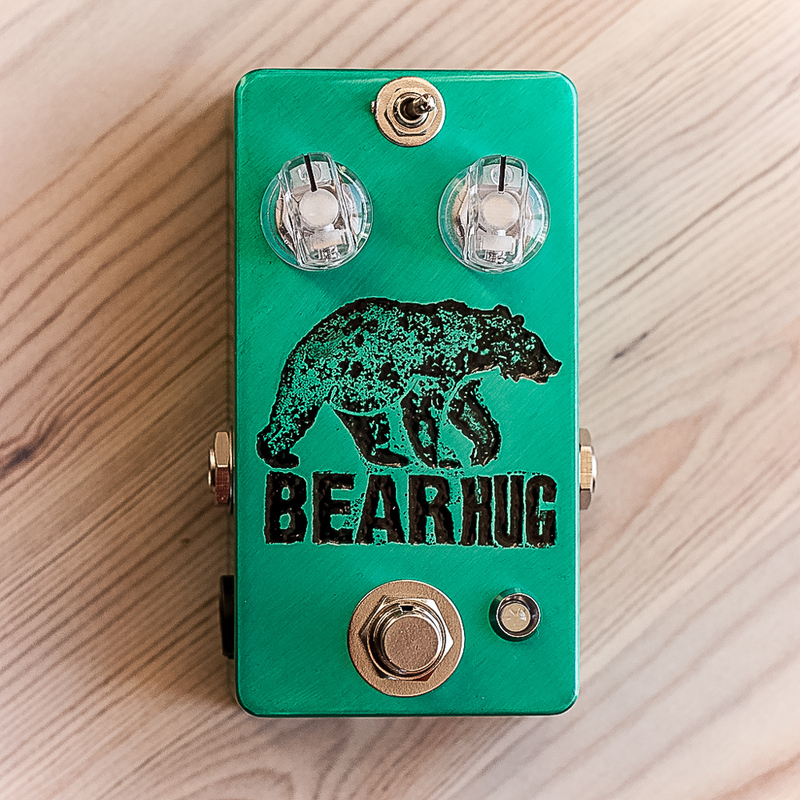 UV printed pedals defintely take longer (~8 weeks) because of graphic design, the printing company’s turnaround time, and shipping to/from printer. 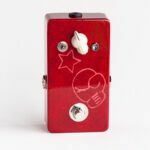 I believe in frequent communication and being up-front about everything, so you’ll always know what’s going on and what I expect the ETA to be.